When you are looking to create a new lawn area in your landscape, there are two basic ways to accomplish that: laying down sod or grass seed. While the end result will generally be the same, the process to achieve an even, green lawn is very different. For most of history, if you wanted a lawn, you grew it from seed. Seeding a lawn is still an extremely popular option. The biggest factor in that popularity is the cost, as laying down seed is much less expensive than sod. The cost savings increase as the area of grass does, with hydroseeding becoming a fast, economical option at larger scales. Growing a lawn from seed also allows you to choose one or more grass species that are well-suited to your particular site conditions, whereas sod is usually developed for average conditions and can perform poorly at extremes. The problem with seeding a lawn, however, is that it takes a lot of time and maintenance to get a nice green lawn established. Frequent water is critical to get the grass established, especially while the seed is germinating. The soil should be kept damp during that period, which will likely require at least two watering sessions a day, with more in hot or dry weather. The grass seeds can blow or be washed away, and weed seeds can similarly be introduced into the new lawn. Running and playing, or even just walking on the new lawn can damage the new plants, so it’s out of commission for weeks to months as the grass is growing. It may take multiple rounds of seeding, fertilizing, and weed control to achieve the traditional lush, green lawn many people desire. Sod eliminates all the work and waiting of establishing a lawn from seed. If you opt for sod installation, you are essentially outsourcing your grass-growing to a farm. The sod farm will deal with watering and fertilizing the grass as it grows and applying pesticides to control weed growth. The sod that gets delivered will be lush, green, and weed-free. It will need a short period of frequent watering for the roots to establish into your existing topsoil, but nothing as extensive as growing from seed. Within a couple days it can take light foot traffic, and is ready for more active use not long after. Because of the work involved in both growing and installing sod, however, a new sod lawn is much more expensive than the same lawn would be if grown from seed. Sod also is a poor choice if you’re looking for a lawn with specific qualities like drought- or shade-tolerance, as most sod farms generally grow a one-size-fits-all product. Another downside to sod is the nylon mesh it often relies on. Depending on the region and the grower, sod is often grown with a layer of nylon netting as a substrate. While this makes it easier to cut, roll, and transport the sod, it can cause big headaches down the line. The plastic mesh does not degrade while buried underground, remaining beneath the lawn for decades. 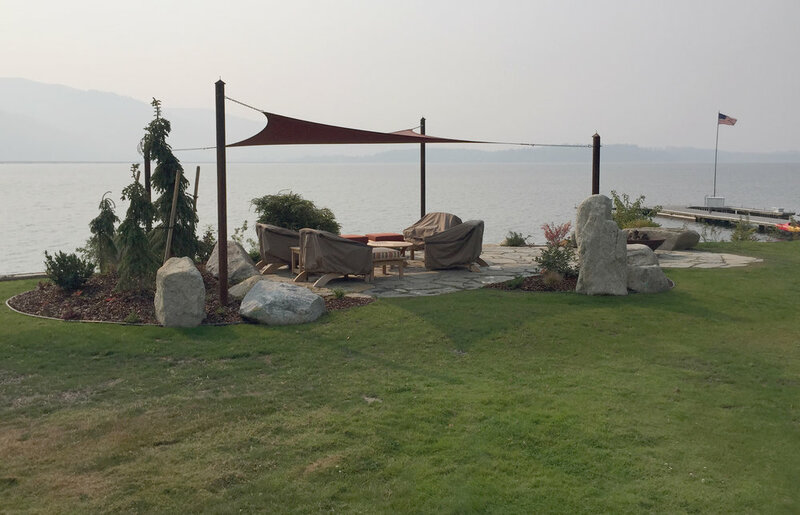 Adding or expanding planting beds in the future will require carefully digging up and cutting the old netting in order to avoid damaging the existing lawn. If the lawn itself needs to be revamped in the future, the mesh can tangle up tillers and seeders and add a lot of headache to the job. If there isn’t a local supplier who offers a mesh-free product, removing the mesh before installation can save a lot of work and frustration in the future. The choice between sod and seed really comes down to the balance between money and time. If you have the time to nurse your new lawn along and can wait for the finished product, seed will certainly save you money. For a quick, low-effort lawn, however, sod might be worth the cost premium.